Holmesglen is one of the largest providers of vocational and higher education in Victoria. 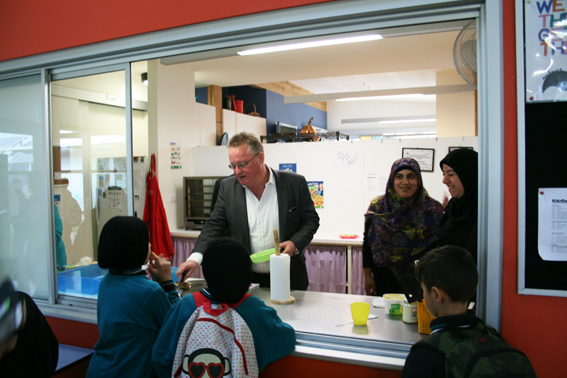 Since 1982, Holmesglen has grown from a delivery of 90 programs to 7,000 students, to a unique multi sectoral provider offering over 600 programs to more than 50,000 students across four campuses (Chadstone, City, Moorabbin and Waverley) in Melbourne. Recently Holmesglen ran their annual Enviro Week whereby Environmental and Sustainable thinking activities took place across the four campuses. 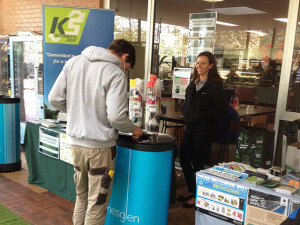 Enviro Week is based on the Holmesglen message of green thinking = positive change. The aim of the week is to encourage students to think about how changes to their behaviour can help the environment. Since the programme commenced in 2012 it has gone from strength to strength and engages not only Holmesglen students but also staff, suppliers and the broader community. Each year KS Environmental likes to be involved in the activities and was proud to be a sponsor and contributor in 2016. 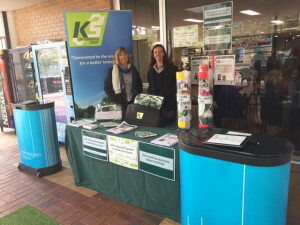 This year we set up an educational stand and ran an online quiz at the Chadstone campus whereby students could come and visit us, learn a little about recycling at Holmesglen and also provide us with their thoughts/feedback and be in the running to win several prize packs for doing so. 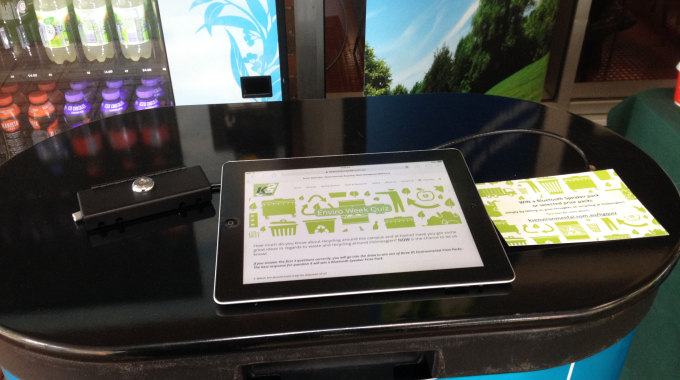 Holmesglen made available a couple of iPads secured to podiums which ensured interactivity and students could fill out and submit their responses immediately. It was a great day with a good turnout of students and we are already thinking of new ideas of how we can make next year’s one even better! 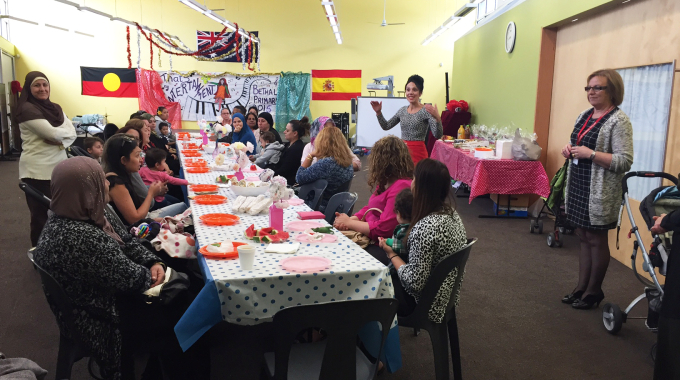 Healthy Start pilot program launched! ←Turn your lights out for Earth Hour!